I didn't blog at all during April. I'm sorry. I thought I could do Script Frenzy and work two jobs and blog for a month, but I was wrong. So very, very wrong. For the record, Script Frenzy is a writing challenge, the goal being to write 100 pages in the month of April. 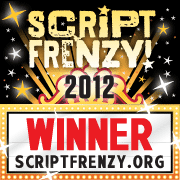 But if it's any consolation, I won Script Frenzy, and now I fully intend to start blogging regularly again! I've discovered that when I tell someone I've won Script Frenzy, but they don't actually know what Script Frenzy is, they think I've won $1,000,000 or something, and then I feel bad for getting their hopes up. People also tend to assume I wrote a movie. Hubs did write a movie for Script Frenzy (which is awesome, and I'm not just saying that because he's my husband--it has a cat assassin, you guys), but I wrote a script for a graphic novel, which is really a lot like this blog, except instead of incorporating the illustrations, you make a detailed note where you want each one to be. 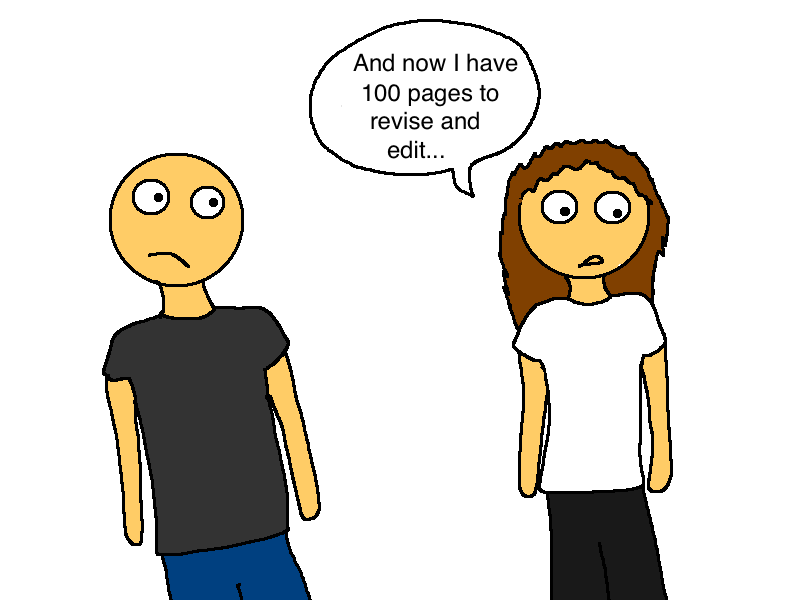 As a result, I now have hundreds of illustrations to go back and draw, which I plan to do very, very gradually. Frankly, knowing that something that was just a vague idea floating around in my head for the past several months is now an actual rough draft, I really do feel like I won something. My ideas have been made solid. I could even print them out if I wanted! But I won't because that would be a lot of paper and ink. If you're wondering what I wrote about, imagine more stories like Meemaw and the Rocks, interlaced with other random stories from my childhood. I already have a few picked out that seem like they'd be able to stand alone as blog posts, so as I illustrate them, you'll be seeing them here! Yay! It's good to be back. I really missed talking to you, big anonymous Internet vacuum! Big anonymous internet vacuum missed you too! And congrats!!! Welcome back, Haley! And congratulations on winning the thousand dollars! uh.... wait, I mean ... uh, nevermind. CONGRATULATIONS! Looking forward to seeing what you came up with! I remember getting the same reaction when I won NaNoWriMo. "What did you win?" "ummmmm..."